Improving cross-border operations for the development of efficient trade corridors; encouraging trade integration amongst countries in the region and with global markets, and bringing the latest practices, technologies and data to support the efficiency, sustainability and safety of road transport operations. A key IRU goal in the region is to facilitate trade and road transport through the implementation of existing and applicable UN conventions and instruments such as TIR. Canada, Chile, the United States and Uruguay are already signatories of the TIR Convention. Argentina, a key trade bridge between Chile and Uruguay, and Mexico, the one North American country not a signatory of TIR yet, are poised to join the convention in 2016. Brazil is also interested in joining TIR, and other countries in the region have expressed interest. In addition to encouraging new countries to become TIR signatories, IRU is assisting countries in the Americas to develop intermodal transport and to harmonise transport links between seaports, rail and road with a view to creating dynamic, multi-modal national and regional transport hubs. South America faces challenges on a par with other regions, namely improving intra-regional transport integration, in addition to being a key export hub. This is why facilitating trade and border operations on this continent, and improving transport infrastructure, are key aims. We do this by providing capacity building and knowledge sharing on issues such as urban mobility, transport and border facilitation, and training. 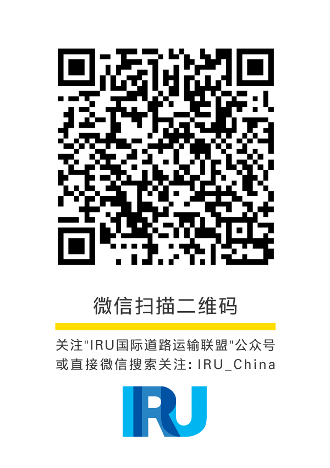 IRU’s initiatives and experiences in other regions around the world can be applied to the Americas. Our initiatives elsewhere can also provide insights into improving cross-border operations in North America, especially between the US and Mexico border. IRU has a strong and growing membership base in the Americas, notably with transport associations, in Argentina, Brazil, Canada, Chile, Mexico, the United States, and Uruguay. Working collaboratively with organisations such as the Camara Inter-Americana de Transportes (CIT), the Organization of American States (OAS) and the Inter-American Development Bank (IADB), amongst others, IRU will continue to work closely with other countries in South, North and Central America. Buses are heavily used and a reliable mode of transport throughout the Americas. Some countries here have very mature and modern passenger road transport industries. IRU’s goal is to support continued improvements and the growth of passenger road transport, notably through our global Smart Move project. This IRU initiative develops sustainable programmes for passengers (and freight). As part of Smart Move in the Americas, IRU is working with national and local governments, and regional organisations to design policies that put buses at the heart of urban transport, making them more user-friendly and ensuring ample intra-city bus networks. The taxi service offering in the Americas is generally well organised, and IRU is reaching out to taxi operators in the region to join UpTop, the global taxi network. One of North America’s major taxi associations is on board with the UpTop initiative, and IRU is anticipating that the Canadian Taxi Association may get involved, too. We continue to work on better understanding the needs and wants of key road transport players in the region, and to further develop relationships and to provide ready-made and easy to implement programmes to assist the road transport community in the Americas. Multi-lateral development banks and organisations such as the Organization of American States (OAS), the World Bank, the Inter-American Development Bank (IADB), the UN Economic Commission for Latin America and the Caribbean (ECLAC), the Camara Inter-Americana de Transportes (CIT) which help foster trade facilitation, knowledge sharing and capacity building.